. @Staples is offering the lowest prices on #tech this #BTS season & free tech support. Read more here. 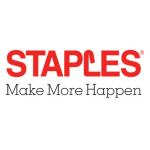 FRAMINGHAM, Mass.--(BUSINESS WIRE)--Staples, Inc. (NASDAQ: SPLS) is offering the lowest prices on technology this back-to-school season. Top brand laptops as low as $249.99, earbuds as low as $7 and an exclusive bundle deal on the Microsoft Surface Pro 4 help parents and students get back to school on budget. Lightweight 15-inch laptops including the Dell® Intel® Pentium® Notebook and the Dell® Inspiron Notebook each priced at $249.99 for back to school. 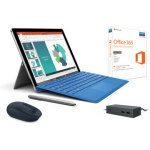 Students can also save more than $300 with the Microsoft® Surface Pro 4 exclusive Staples® bundle ($999.99 with coupon code 69225) that includes the ultra-light tablet with Windows 10, the Microsoft Surface Dock, Microsoft Office 365 software and a wireless mobile mouse. All laptops, desktops or all-in-one PC purchases at Staples also qualify for free 30 days of tech support and prices are backed by the Staples 110% Lowest Price Guarantee. 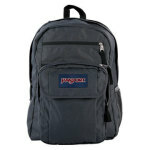 College students and teachers can also receive exclusive offers by signing up at www.staples.com/exclusivedeals . Streaming devices such as the Google Chromecast provide students with entertainment, wearable fitness trackers keep them moving and headphones help them tune out distractions and relax. The Staples Less List for School features lowest prices top tech essentials every student needs including Staples Earbuds ($7.00), USB Drives (8GB, 4-Pack $14.00), Display Calculators ($5.00) and Coppertop Batteries (AAA 4-Pack $4.00) and more. 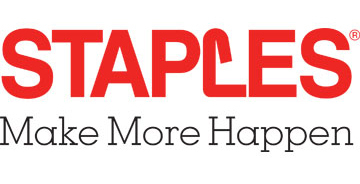 Additional ways to save include the Staples technology trade-in program (get paid when you trade in old devices), weekly school steals and 110% Lowest Price Guarantee.